Good day my dear readers.I have prepared for you a new review of the project.The rapid development of technology is changing the world around us, affecting new areas of science and business. Today, a new type of product has appeared on the market - the innovative Quantor market, which uses algorithmic trading methods that allow anyone who wants to manage their mysterious assets to do it with maximum efficiency and reliability. The history of automated trading in the financial markets began in the 1970s and 1980s, when traders began using special algorithms to multiply their investments, which analyzed the current situation in the financial markets and automatically performed trading operations. This method quickly proved to be effective and began to improve as the experience and mistakes of previous programs were taken into account. Algorithmic trading today is an efficient and automated asset management tool that does not require any investment knowledge and allows you to manage your financial resources with innovative technologies. And a direct evidence of its effectiveness is the confidence of global international players. For example, the Medallion Fund, a well-known algorithmic hedge Fund, provided a significant annual income of over 35 percent over a 20-year period. Over time, the use of algorithmic trading systems captures more and more areas of investment. In some financial markets, it has already reached more than 50% of trading volume. In 2014, 67% of trading volumes with interest rate futures in the US were formed using trading algorithms, which proves one thing: algorithmic trading is the inevitable and effective future of the global investment industry. The trading volume generated by algorithmic trading systems in various financial markets of the United States. The era of block and cryptocurrency markets. Literally bursting into our world, blockchain technology is changing it quickly and irrevocably. The scope of its application is growing, all new fields, from science to business, are seeking to integrate the benefits of blockchain technologies in relation to their industry. Along with this, the volume of the cryptocurrency market is growing. Soon, the integration of blockchain technology into new industries could radically change our understanding of traditional processes, as well as open up fundamentally new opportunities whose potential remains beyond our imagination. Quantor is one of the most revolutionary projects that can change the investment industry, making it transparent and convenient. Quantor brings together talented developers ("quants"), acting as an accelerator that helps new and experienced quans develop investment algorithms by providing services such as online courses, training and financial support. The platform will become a market, a place where anyone who has no knowledge in the field of investment multiplication can use these innovative methods, that is, transfer their cryptocurrency assets into effective, machine control. Online learning has long proven effective and has made learning truly unlimited for everyone. 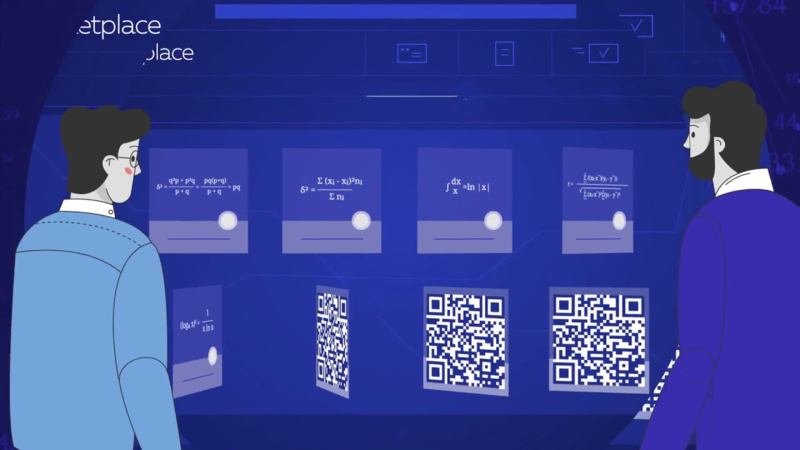 Quantor will also serve as an educational platform where the best professionals will be trained and selected to create the most efficient algorithms, and after testing the most valuable products will be offered to investors. Quantor will open doors for a large number of algorithm developers from different countries. In the market, they can make their algorithm available to investors from all over the world. In addition," quants " can be combined into teams of developers from anywhere in the world, and smart contracts automatically distribute income between them in accordance with the established rules in accordance with them. The rapid development of technology is changing the world around us, affecting new areas of science and business. Today, a new type of product has appeared on the market - the innovative Quantor market, which uses algorithmic trading methods that allow anyone who wants to manage their mysterious assets to do it with maximum efficiency and reliability. Existing financial institutions-banks and investment companies - will be able to have an account with Quantor. Each of them will have access to a wide range of algorithms to ensure diversification according to interests. Smart contracts guarantee a fair share of their clients ' income. Thus, the use of Quantor will be useful for all participants of the platform. Blockchain will make all processes on the platform safe and transparent. The use of smart contracts will greatly simplify and automate the interaction between all participants of the ecosystem - developers and investors will automatically receive their share of profits. This approach implements the idea of dividing the economy, gaining popularity in various industries. Using a decentralized Ledger will allow you to record all important data about the performance of trading algorithms, improving transparency by not allowing you to manipulate trade performance reports. What makes Quantor world community of cryptocurrency systems? The answer is obvious: effective methods of managing cryptocurrency assets. Simple e-currency holders (including miners) often do not know how to manage funds received after a successful purchase. The Quantor platform provides effective tools for managing your assets that do not require additional knowledge when developing investment algorithms. In other words, Quantor provides time-tested and time-tested automated solutions for managing your cryptocurrency portfolio. It is no secret that the successful implementation of the project depends largely on the team that works on it. The Quantor team is an organic symbiosis of the founders Vlad Buchnev and Serge Bolshakov, respectively, with experience on wall street in the investment and algorithmic business and with extensive experience in the creation and management of the business, including in the management company of investment funds. Equally important for success is the role of the young ambitious team marketers who practice innovative methods of introducing new cryptocurrency projects to the market, as well as consultants of the world-famous project. One of the consultants of the project is Ernest Chen, a well-known guru in the field of algorithmic trading, an expert in the creation of quantitative methods of asset management. No less well-known and experienced Advisor to the Quantor team Kirill Ilyinsky, founder of the international investment company Fusion Asset Management, successfully manages assets worth more than $ 1 billion using quantitative methods. Selling tokens: towards global changes in the investment market. To fully develop the ecosystem and implement all the services of the platform, the Quantor team plans to sell tokens. The authors of the platform see the purpose of selling tokens as an opportunity to scale the project, which at the stage of the idea was global in nature. The concept of creating an ecosystem where specialists will be trained to write algorithms and implement algorithms in the market cannot be a priori local. As the ability to bring algorithmic trading to the mass market and allow a multi-million army of cryptocurrencies to use innovative tools to multiply their assets, in the foreseeable future may cause a revolution in both the crypto-currency markets and the classical ones. Speaking about the prospects of Quantor, you can expect the platform to become a major player in P2P (peer-to-peer) investments such as LendingClub in P2P lending or Amazon and Uber in the Internet market and in business with the overall economy. Significant discounts when buying in the early stages of the project. A unique business model will allow everyone to find their niche on the platform: to study and sell their product or to invest in the creation of such a product. The business model of the project is based on the scientific knowledge of leading experts in the field of effective investments, as well as on training programs for recognized universities in the field of quantitative financing. The integration of algorithmic trading into a fast - growing market is a real revolution. This synergy has not yet been implemented in any project, its prospects are really global and huge. Invest effectively in your future now!